World Superbike champion Jonathan Rea. 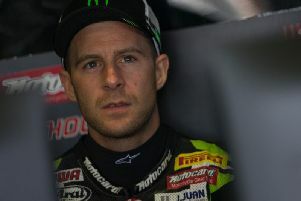 World Superbike king Jonathan Rea said himself that he took a knife to a gunfight after new arrival Alvaro Bautista powered to a dominant treble in the season-opener at Phillip Island in Australia in February. The top-speed advantage of the new Ducati Panigale V4-R was clear for all to see as Bautista stormed past Rea’s Kawasaki on the main straight, barely even bothering to use the ZX-10RR’s slipstream to sweep past. It was a similar story in round two at the Chang International Circuit in Buriram, with Rea powerless to prevent the former MotoGP man disappearing into the distance as Bautista chalked up another three wins to make it six from six. The reigning four-time champion has clearly been the best of the rest, filling the runner-up spot on each occasion, but that will be little consolation for a rider who closed out last season with 11 wins on the spin to wrap up yet another world crown. Rea is firmly in touch in his quest to make it an unprecedented five titles in 2019, but Bautista’s dream start to his maiden season in Superbikes has certainly got everyone’s attention. The Ducati is fast, but you can’t take anything away from the man at the controls. He has stolen the limelight, but Kawasaki and Rea are up for the fight. The Ulsterman is riding as hard as ever, but Bautista has simply upped the ante this season after making a seemingly flawless transition from MotoGP, and the 35-year-old has the advantage - for now. Aragon in Spain kicks-off a long run of European rounds this weekend, swiftly followed by Assen – where Rea has incredibly won eight of the last 10 WSBK races. And while it’s too early to make any rash predictions, the championship picture could be a lot clearer in a little over two weeks’ time.